Home/Trademark/Can I trademark an Acronym? Can I trademark Acronym? Yes provided the wording it stands for is not descriptive of the product or service. As a general rule, an acronym or initialism cannot be considered descriptive unless the wording it stands for is merely descriptive of the goods or services, and the acronym or initialism is readily understood by relevant purchasers to be “substantially synonymous” with the merely descriptive wording it represents. See Modern Optics Inc. v. The Univis Lens Co., 234 F. 2d 504, 506, 110 USPQ 293, 295 (C.C.P.A. 1956); Baroness Small Estates, Inc. v. Am. Wine Trade, Inc., 104 USPQ2d 1224, 1230-31 (TTAB 2012) (holding CMS not substantially synonymous with the grape varietals cabernet, merlot, and syrah and therefore not merely descriptive for wine); In re Thomas Nelson, Inc., 97 USPQ2d 1712, 1715 (TTAB 2011) (holding NKJV substantially synonymous with merely descriptive term “New King James Version” and thus merely descriptive of bibles). 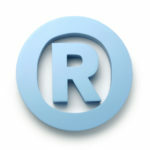 A trademark consisting of an abbreviation, initialism, or acronym will be considered substantially synonymous with descriptive wording if: (1) the applied-for mark is an abbreviation, initialism, or acronym for specific wording; (2) the specific wording is merely descriptive of applicant’s goods and/or services; and (3) a relevant consumer viewing the abbreviation, initialism, or acronym in connection with applicant’s goods and/or services will recognize it as an abbreviation, initialism, or acronym of the merely descriptive wording that it represents. See In re Thomas Nelson, Inc., 97 USPQ2d at 1715-16 (citing In re Harco Corp., 220 USPQ 1075, 1076 (TTAB 1984)). Thus, without additional evidence, an applicant’s proprietary use of an acronym is not sufficient to establish that the acronym is readily understood to be substantially synonymous with the descriptive wording it represents. Modern Optics, 234 F.2d 504, 506, 110 USPQ 293, 295 (finding the record unconvincing that CV is a generally recognized term for multifocal lenses and lens blanks). See also In re BetaBatt Inc., 89 USPQ2d 1152 (TTAB 2008) (DEC found to be routinely used as an abbreviation for “direct energy conversion”); Capital Project Mgmt. Inc. v. IMDISI Inc., 70 USPQ2d 1172 (TTAB 2003) (TIA found to be substantially synonymous with “time impact analysis”); In re The Yacht Exch., Inc., 214 USPQ 406 (TTAB 1982) (MLS held descriptive for multiple listing services for yachts and boats); cf. In re Harco Corp., 220 USPQ 1075 (TTAB 1984) (record insufficient to establish that CPL would be commonly understood as no more than an abbreviation of “computerized potential log”).